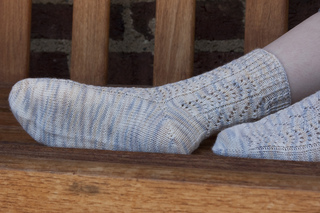 Feather Lace Socks are a dream if you’ve been wishing for a light, feminine sock either for yourself or for a very special gift. 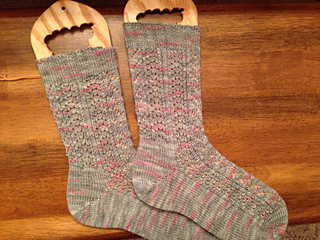 Knit them in a luxury yarn like this Schaefer Audrey and you’ll feel positively royal. 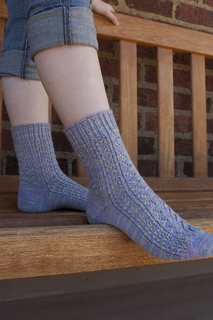 Knit these lace socks with superfine weight yarn on size 1 needles from the toe up, put in a short row heel, and finish them off with a twisted-stitch rib cuff. Wear them with your dressy shoes, if you even want to put them in shoes at all.